Firearms laws and regulations have changed in significant ways in 2017. One of those new laws is in regards to ownership and purchasing of semi-automatic centerfire rifles, specifically AR-15 and AR-platform rifles. Federal Assault Weapons regulations have come and gone, but have become more and more constrictive in some states like California. Assault Rifles have been loosely defined as semi-automatic rifles with detachable magazines, pistol grips, and some type of flash-hiding muzzle device. Most assault weapons are named by Manufacturer and Model, but any rifle bearing assault weapon characteristics can be classified as such, and will require you to abide by the same laws and restrictions. We were once able to use a "Bullet Button" to circumvent registration of an Assault Weapon but the laws that passed in 2016 make that no longer legal for future or current owners of AR-platform rifles. AR rifles now have to be "featureless" or have a "fixed" magazine, requiring disassembly of the receiver to reload. These changes are designed to constrict ownership enough to drive California Assault Weapon registrations. Most of us have many questions and there are some important things you need to consider if you are planning to build an AR-platform rifle, purchase an AR-platform rifle, or are a current owner of an AR-platform rifle. The "Bullet Button" got its name from a law which was put into place in 1999 that that said a bullet counted as a tool to release the magazine. The law states that if you have to use a tool to release the magazine, it is considered a "fixed" magazine and would no longer require Assault Weapon registration. Manufacturers quickly retrofitted "Bullet Buttons" to their AR-15 rifles for sale in California. Bullet buttons are no longer legal in 2017. No owner is grandfathered in, so we all have to consider our options. It's fairly easy to remove the bullet button and make your rifle "featureless" to stay legal. If the rifle has a "fixed" magazine, then you can have "evil features" and not have to register it as an Assault Weapon. That is why the "Bullet Button" has been so popular over the past 15 years. This is no longer a legal way of avoiding Assault Weapon registration in 2017. The rifle receiver must now be partially disassembled to release the magazine for it to be considered a "fixed magazine". The ONLY way you can have a rifle with a detachable magazine (quick release button) is to have a "featureless" rifle. A "featureless" rifle is one that has no evil features, but is allowed to have a detachable magazine. The ONLY way you can have a rifle with "evil features" is to have "fixed magazine", or register it as an Assault Weapon (allowing for standard detachable magazine & 'evil features'). 5. Purchase a .22 LR conversion kit - This is an easy swap with a .22 bolt carrier group & .22 cal magazine). Assault Weapon regulations are not applicable to .22 caliber rifles. After going to Shot Show this year, we have been seeing some very cool products to make your rifle California-legal. Hera Arms has a new stock called CRQ and it has a removable solid plate in the triangular area behind the pistol grip making it California legal. 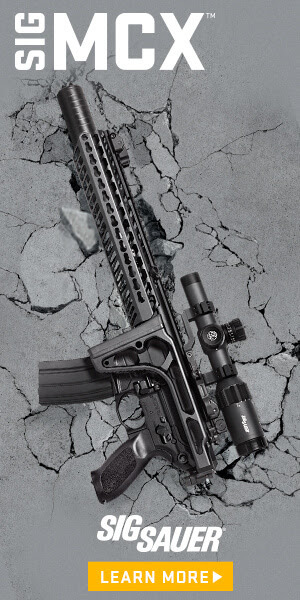 Thordsen has been a common pick to easily convert your rifle to a "featureless" build. We held these at Shot Show and it didn't feel too awkward at all! The SI Megafin Featureless grip has been designed from inception specifically to provide an ergonomic solution to build a featureless AR. Solar Tactical is a Bay Area company that makes a Kydex Grip Wrap for preventing the shooter from a true pistol grip. The Exile Machine Hammerhead is an interesting choice that slightly changes your shoulder stock placement. Magpul is now making some your favorite adjustable stock in pinned and fixed configurations. The Patriot Magazine Release has received a lot of attention because it was designed by the same guy who created the Prince 50 Bullet Button. This new product ejects the magazine from an AR-15 rifle when you unpin and "break open" the receiver. This prevents top loading a fixed magazine but still requires a tooled disassembly of the rifle, removing the requirement of Assault Weapon registration while still allowing some of our favorite "evil features".